Passionate... impeccable... and unequalled point of entry to the riches of a fabulous culture! Why See Ballet Folklorico de Mexico: De Amalia Hernandez? 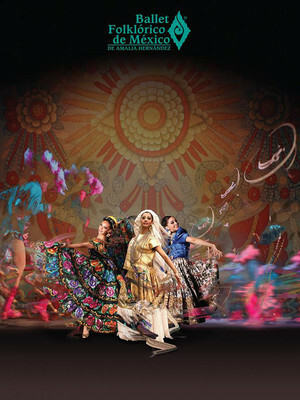 Seen by millions of dance fans worldwide, Ballet Folklorico de Mexico has traveled to more than 60 countries and regularly garners rave reviews with every new show they produce. The oldest celebrated dance company in Mexico, Ballet Folklorico was founded in 1952 by Amalia Hernandez, as her own personal ambition to rescue the 60+ dancing traditions of Mexico. More than 40 ballet works and musical pieces in their repertoire reflect the various regions and folk music genres of Mexico.and even stretch back to Mesoamerican culture. 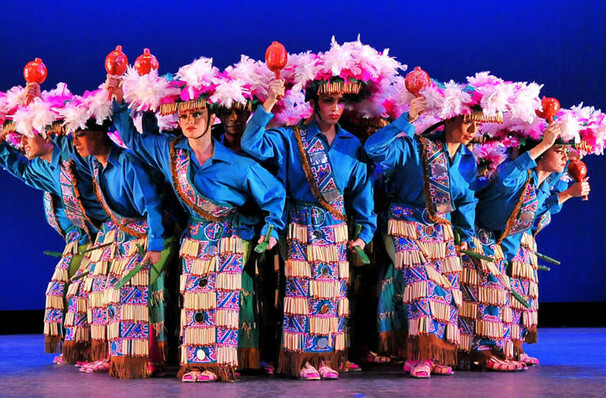 In traditional regional costume, their dance numbers can accommodate between two performers, up to an astonishing 35 for the larger ones. Thankfully US fans needn't wait that long to see them perform as this company are constantly touring, albeit to limited markets. Seen Ballet Folklorico de Mexico: De Amalia Hernandez? Loved it? Hated it? Sound good to you? Share this page on social media and let your friends know about Ballet Folklorico de Mexico: De Amalia Hernandez at Auditorium Theatre.